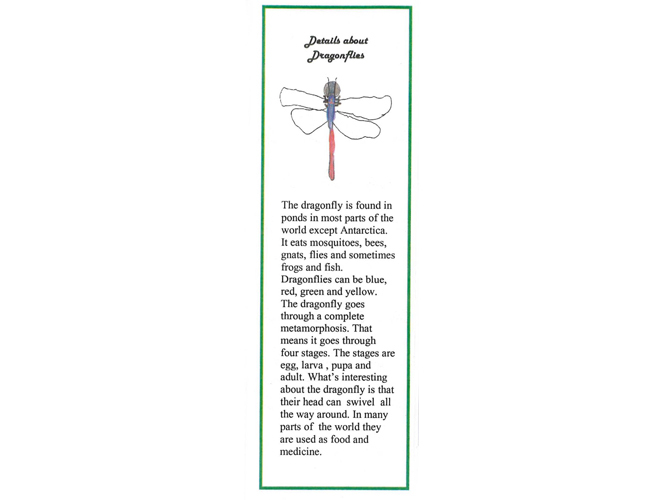 These bookmarks were created by 2nd graders at the Alice B. Beal Elementary School in Springfield, Massachusetts as part of a two-month Learning expedition on insects. 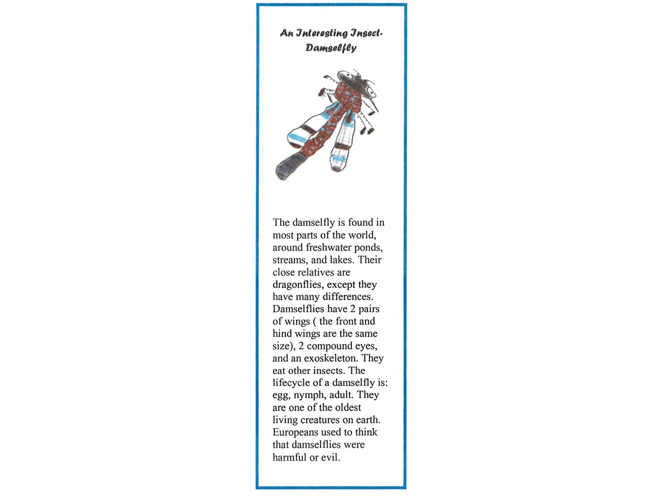 The learning expedition included field observation and collection, classroom experimentation and research, reading from books and websites, and work with a local entomologist who works for The Smithsonian Institute. The teacher assembled a classroom library with non-fiction books across a wide range of reading levels. This Learning expedition was a customized, expanded version of a required district science unit. 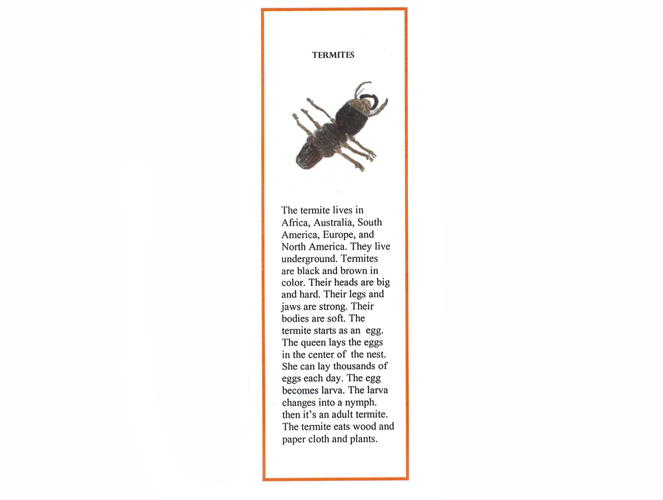 Students became experts in insects local to Western Massachusetts, and then researched a specific insect. 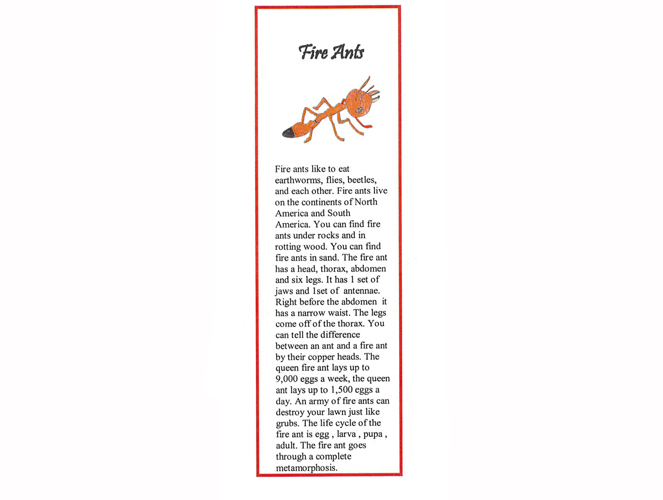 Each bookmark in the collection contains a scientific illustration of the student’s insect and a detailed written description. 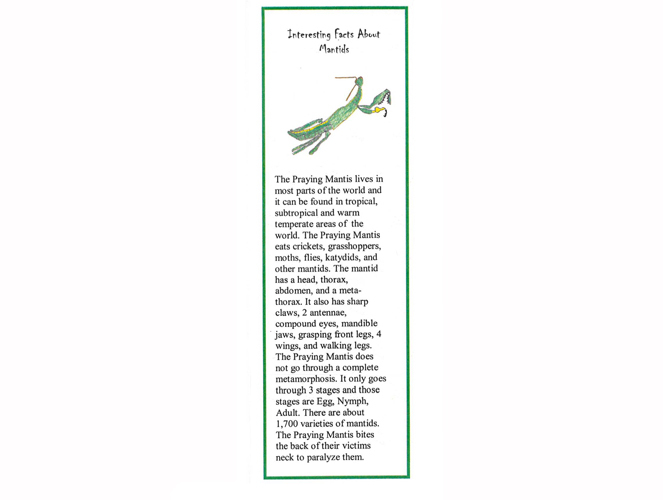 To achieve the high level of quality shown in the bookmarks, students did multiple revisions of their drawings and writing, each time receiving feedback from students and adults. 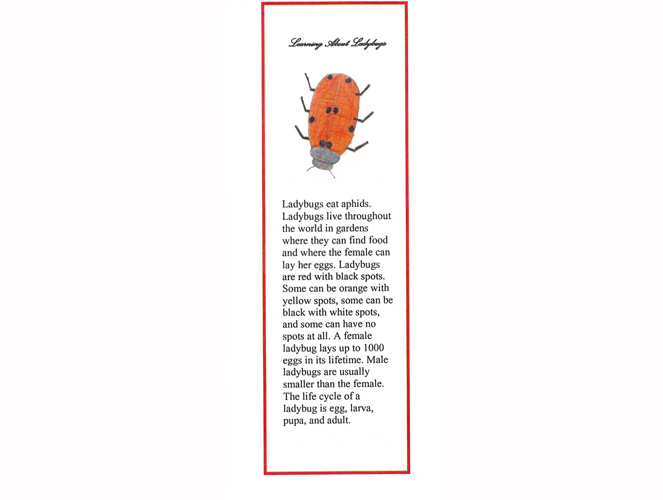 Previous students from this class, involved in this same learning expedition on insects, won a city-wide competition to design an insect habitat; they received a $1,000 prize, which they used for classroom supplies. 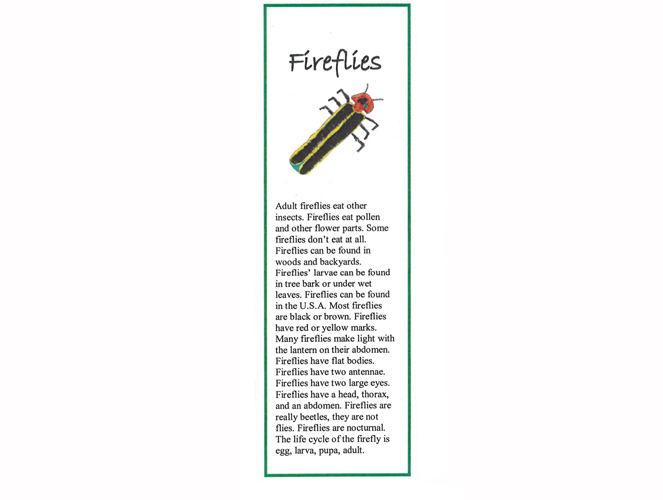 Because previous classes had already created a field guide to local insects, and insect note cards, this class wanted to use the same learning to produce something fresh. I can construct a closure on the topic of an informative/explanatory text.